To became a global brand, Micromax Indian has beautifully crafted world’s best 4G budget smartphone, the all new Micromax Yu Yureka AO5510 with 64-bit Processor, 5.5-inch HD display, 13-MP Camera, Cyanogen OS 11 which launched in Indian market on 18th Dec. 2014 priced at Rs 8,999 in Moonstone Grey colour option. Micromax Yu Yureka AO5510 first sale closed on 13th January 2015 through Amazon and 2nd sale will start on 22nd Jan. 2015, 2PM exclusively through Amazon. It will counter Xiaomi Redmi Note 4G(Rs 9,999) and Lenovo A6000(Rs 6,999). 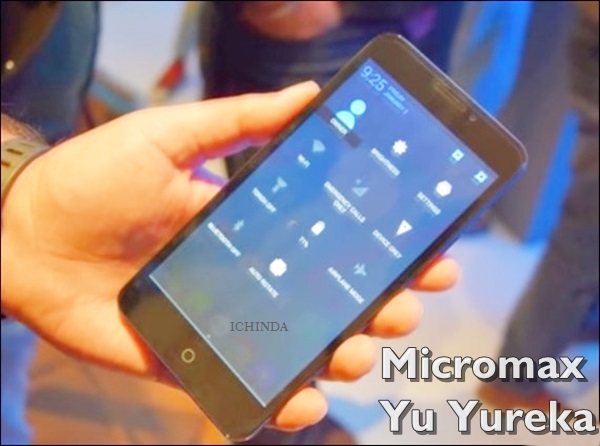 The all new Micromax Yu Yureka AO5510 supports Dual-SIM((4G+3G)), Micro SIM, Bluetooth 4.0, Micro-USB, Wi-Fi 802.11 b/g/n, GPS, and a 3.5mm audio jack with a opertaing speed is Cat. 4 4G LTE with up to 150Mbps download speeds and 50Mbps upload speeds runs on latest Cyanogen OS, Cyanogen OS 11 based on Android 4.4 kitkat and Android 5.50 Lollipop which allows you to enjoy your favorite apps from Google play and powerful 64 Bit, Qualcomm MSM8939 Snapdragon 615 , MSM8939 LTE Chipset, Quad-core 1.5 GHz Cortex-A53 & quad-core 1.0 GHz Cortex-A53 CPU and GPU Adreno 405 @505 mhz makes your multi-tasking breezy reduces hit and allows to run your apps smoothly. It’s 2GB RAM, 16GB internal memory and 32GB Expandable memory is enough to store your favourite apps, videos, movies and games. Micromax Yu Yureka AO5510 comes with a bigger 5.5-inch HD IPS display with resolution (720×1280 pixels) and a pixel density of 267ppi with Gorilla Glass 3 protection promising crystal clear wide-angle view perfect for watching movies and paying games. Micromax Yu Yureka AO5510 sporting a huge 13-MP rear Auto focus camera with LED Flash, Sony IMX135 CMOS Sensor with an f/2.2 aperture Features Live filters, Exposure control, Burst mode, Video mode with time-lapse and Slo-Mo perfect for taking world-class picture in any condition while 5-MP front facing camera is the best for clicking your selfies and video calling. Micromax Yu Yureka AO5510 powered by a powerful 2500mAh Li-Po battery with 25% extra power work like 3000mAh battery promising talk time up to 8 hours, standby time up to 310 hours, video playback time of up to 6 hours, and gaming up to 4 hours measures 154.8x78x8.8mm. Micromax Yu Yureka AO5510 Rival Xiaomi Redmi Note 4G(Rs 9,999) and Lenovo A6000(Rs 6,999). 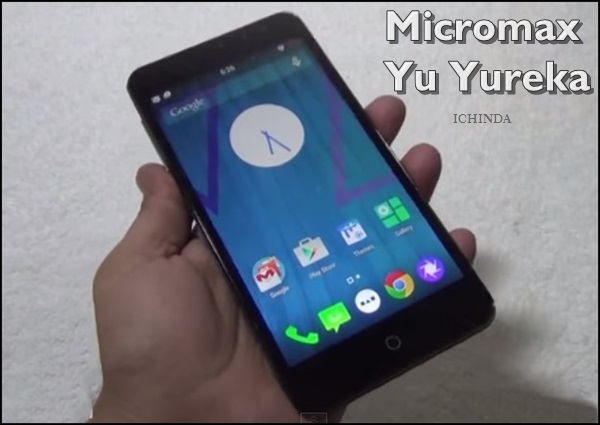 At last few honest word to say that Micromax Yu Yureka AO5510 is the best budget phone in Indian market. What you think? Please be open to give your view.